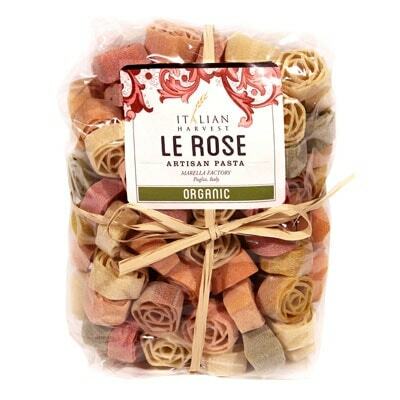 Made with all natural organic ingredients, this pack of Le Rose Mix from Marella is perfect for all kinds of occasions. Are you entertaining guests soon? Or perhaps you’re planning a romantic dinner with your special someone? Whichever occasion or celebration it is, you will not go wrong with these colorful rosette pasta. You can use any of your favorite sauces with this pasta. It is particularly great with pesto or some authentic Italian tomato sauce. Hankering for some fun in your pasta dishes? Get this bag of pasta today, and you will never have another boring pasta dish again.